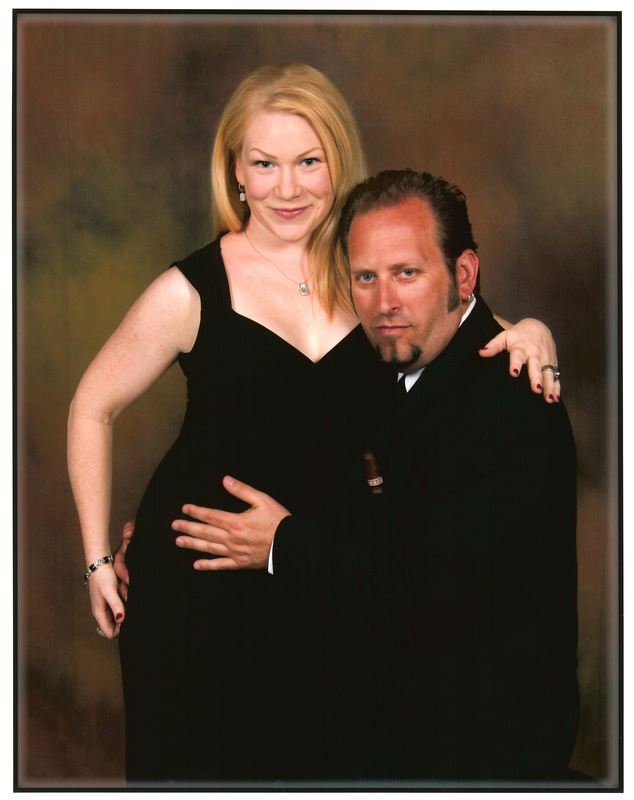 Meet Melissa and Ross, who found love on Match. When Melissa first came to me, she was nervous about hiring a dating coach, and just became single for the first time in 20 years. She was actually terrified of trying online dating for the first time. 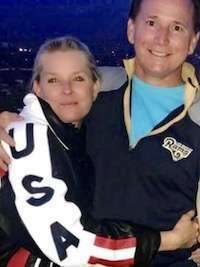 Melissa loves animals, had lived on a ranch, and as a single mom of two teenage kids, needed to find someone who was devoted to his family like she was. Ross, whose screen name was “Dog Lover” wrote to Melissa within a few days of her profile going live. Before she met Ross, Melissa went on three dates to build up her confidence and get out of her shell. “It felt a bit overwhelming,” she said. As Melissa and Ross continued to chat, they both realized they had much more than pets and children in common. Both had coincidentally attended the University of Southern California (USC) at the same time, were both enrolled in the communications program, and lived two houses apart. It was hard to believe that they had never met while in college. Melissa felt a connection with him and started doing her due diligence to vet Ross to make sure he was the real deal. One of her friends told her that Ross was a terrific attorney. Another friend of hers said they had built Ross’s house, and that their children went to school together. “Everyone said wonderful things about him,” says Melissa. Because they knew so many people in common, she felt safe about having him pick her up for their first date. By the time they met, Melissa said they both felt like they had known each other forever. For their first date, Ross arrived with roses, wine, and they went to dinner, where they felt a warm connection right away. “He was a real gentleman,” says Melissa. “I knew when I saw your picture and when I heard your voice from the first conversation, that you were ‘the one,'” says Ross. They quickly introduced their kids to each other, met each other’s families, and now realize they are each other’s forever. Congratulations to Melissa and Ross, our online dating success couple, who proves that the big world-wide-web can make you feel like you’re at home when the right one comes along. Julie Spira is America’s Top Online Dating Expert and an award-winning dating coach. She’s the CEO of Cyber-Dating Expert and has been helping singles find love online for over 20 years with her Irresistible Profiles programs. Meet Clara and Sandy our Cyber Love Story featured couple who met on Match and fell in love. When Clara joined Match, she was only on the site for about two months when she got matched with Sandy. Both Clara and Sandy had lost their spouses, so they had that in common. Clara was single for eleven years and was ready to meet a man who “got her” and accepted her for who she was. Sandy had lost his wife and was also looking for a companion to go to dinner and movies with. He selected Clara and what caught his eye, were both her hot legs and her Hungarian background. The two spoke by phone briefly and then the emails started going back-and-forth. When Sandy went on vacation, Clara figured he’d forget about her, but she was wrong. Their first date in downtown Los Angeles was very romantic. After dinner, Clara, who’s an artist, invited Sandy to view her etchings in her studio. The two decided to take a big trip to Rome, Florence and Milan, Italy which tested their relationship. 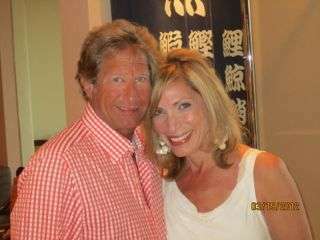 On their one year anniversary together, Sandy proposed at one of their favorite Italian restaurants. He said he wanted to spend the rest of his life with Clara. Congratulations to Clara and Sandy who have found another chance at love with the help of Match. Send us your story and we might feature you in our Cyber Love Story series. Julie Spira is America’s Top Online Dating Expert and Digital Matchmaker. 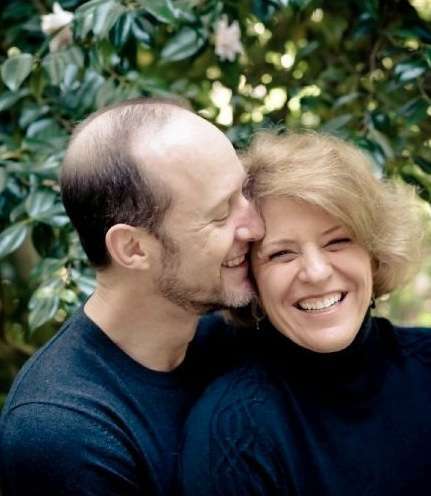 She was an early adopter of Internet dating and has been helping singles find love online for over 20 years. Julie’s the author of the bestseller, The Perils of Cyber-Dating: Confessions of a Hopeful Romantic Looking for Love Online, newly revised on Kindle and Audible. Find out how Irresistible Coaching can help you find your dream date. Follow @JulieSpira for dating advice and sign up for the free Weekly Flirt newsletter. Meet Rasheda and Brandon, who found love on the free online dating site OKCupid. 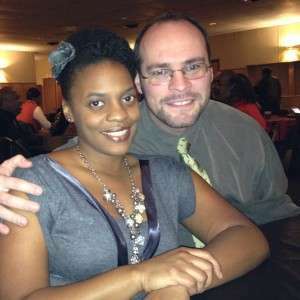 Rasheda was ready to give up on Internet dating, but decided to return to OkCupid, where she met Brandon in August of 2012. After their first date, Rasheda thought Brandon was a really “nice” guy. Brandon managed to catch her attention by sending her a bouquet of flowers to her office on the Monday following their first date. Continuing to be the good guy, he would send Rasheeda e-cards and suggest interesting dates. However, after a month, Rasheda decided that Brandon belonged in the “friend zone” (ouch). They stopped dating during the month of October, while she decided whether to date him or another guy. Fortunately, she came to her senses before losing him completely. The two reconnected in November and went on a romantic date to the Opera. Afterwards, they went dancing, where she realized that she was falling for him. Brandon invited Rasheda over for Thanksgiving dinner and they’ve been together ever since. The two are planning a romantic trip to the Bahamas this spring. Congratulations to Rasheda and Brandon who prove that nice guys don?t always finish last and that patience is a virtue. Share your Cyber Love Story with us! Julie Spira is America’s top online dating expert and founder of CyberDatingExpert.com. Julie’s the bestselling author of The Perils of Cyber-Dating and creates irresistible profiles for singles on the dating scene. For more dating advice, sign up for our Weekly Flirt newsletter and connect at Facebook.com/CyberDatingExpert and on Twitter @JulieSpira. Meet Chanel and Brandon who met online on POF.com. Chanel was immediately intrigued by Brandon’s sense of humor. They soon started chatting online for hours, laughing, and getting to know each other. Brandon was instantly enamored with Chanel’s outgoing and fun personality, and knew right away that she was someone he had to get to know. When their first date at a comedy club rolled around, they hit it off effortlessly, and an online spark immediately turned into a real-life connection. Soon enough, Brandon was asking for permission to propose, and presented her with a diamond ring made from his grandmother and they were engaged. Brandon and Chanel remember their wedding day on July 21, 2012 as a completely magical affair. 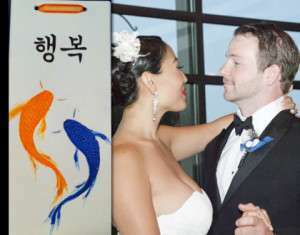 Because they met online, they selected a Plentyoffish theme throughout to celebrate their love for the color blue! The couple also performed a Korean tea ceremony called Pae-Baek, in which each family welcomes the new member with blessings and words of wisdom. The pair further paid tribute to their families by wearing Chanel’s mother and father’s original wedding bands. After overcoming obstacles together including unemployment, family health scares, and even entering in “Tough Mudder,” a brutal obstacle-style 12 mile race designed by Navy Seals, the couple is looking forward to traveling and starting a family together! Congratulations to Chanel and Brandon who found love online on Plenty of Fish. Julie Spira is a top online dating expert and founder of CyberDatingExpert.com.? 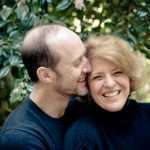 Julie’s the bestselling author of The Perils of Cyber-Dating and creates irresistible profiles for singles on the dating scene.? For more dating advice, sign up for our Weekly Flirt newsletter and like us at Facebook.com/CyberDatingExpert and Follow @JulieSpira on Twitter. Judy had been recently widowed and wasn?t ready to date yet. After her husband passed away she said, ?Never again.? One night over Thanksgiving while visiting her family and was bored, she got a glass of wine and began to peruse the human MLS listing. In this, was match.com. Judy only dipped a half a toe in to online dating, as she posted a profile with no information and no picture. After looking through a myriad of pictures of men in her area from 55-65, she decided that online dating wasn?t for her. She felt that all of the profiles seemed the same.? Before she turned off her laptop, Judy noticed one man?s profile which caught her eye. Kenny had a big smile, curly blond hear, and was wearing a baseball jacket from her favorite team. Judy laughed at reading Kenny?s humorous profile. However, Kenny had stated in bold letters, ?DO NOT REPLY IF YOU DON?T HAVE A PICTURE,? proving once again that men are visual. Judy decided to send him a cordial email to tell him that although she had no picture she just wanted to tell him what a funny profile he had. Kenny?s headline said,? ?I?m looking for someone who colored outside the lines.? Judy told him that she colored outside the lines professionally, as she was an artist. Upon receiving Judy’s email, Kenny laughed at her remark and wrote her back. Judy was sure she was not ready to date and was only writing to pass the time while she was away on vacation. The two exchanged several emails and much to both their surprise, agreed to meet when Judy returned to town. Kenny still had no idea what Judy looked like, so when Judy returned, they had their first date and spent 5 hours together having coffee. It was “like” at first sight for both of them.. After six months, they decided to move in together and have been a couple for one year. Both Judy and Kenny colored outside their lines and didn?t close the door when Kenny viewed Judy?s empty profile or when Judy was sure she was not ready to date yet. It’s amazing what can happen when you follow your intuition, break your own rules, and open your heart. Congratulations to Judy and Kenny, our Cyber Love Story of the Week couple. Do you have a Cyber Love Story to to share? Julie Spira is a leading online dating expert and founder of CyberDatingExpert.com. She creates irresistible profiles for singles on the dating scene. Julie’s the bestselling author of The Perils of Cyber-Dating and host of Mobile Dating BootCamp. For more dating advice, sign up for our Weekly Flirt newsletter and like us at Facebook.com/CyberDatingExpert. It’s Mother’s Day weekend and May has also been proclaimed Romance Month, so there’s no shortage of fabulous stories about dating, love and romance on the web and on Twitter. Let’s start with overwhelming amount of gratitude for all the media mentions this week. Monday started out with a terrific TV promo shoot for the upcoming Ricki Lake Show. I was honored to participate along with others in the Friends of Ricki community. Here’s a sneak peek of a hug from Ricki on location posted on Twitter. On Tuesday, Dr. Drew Pinsky featured a segment on MissTravel.com and asked me to chime in with my thoughts on the subject. It was an honor to be featured as one of 30 influential women in the Speakerpalooza series on Wednesday.? Enjoy the article, Dating Online? 5 Secrets to Finding Love Again. We’ve got free books to give away, so make sure to comment on the post. On Wednesday we also announced the first-ever Mobile Dating Bootcamp. On Thursday, I was honored to be featured as one of America’s Ultimate Experts in Woman’s World magazine. The issue is now available at most grocery store check out stands. Check out page 26, I want more romance in my life! Lastly, I’d like to thank our friends at iVillage for the contribution to The Rules: Dos and Don’ts for Online Dating. Whew! There’s enough dating advice to last you through the summer romance season. None of this excitement could be possible if it wasn’t for the continuing support from you, our loyal readers and students. What stories were hot this week? The Time magazine Mother’s Day cover story has gone viral. Yahoo! posted the story Jamie Lynne Grumet Defends Her Time Magazine Breastfeeding Cover from an interview on? “Today Show.” On YourTango, We Love Dates posted the 4 Things You Should Never Say on a First Date and we couldn’t agree more. Be authentic, but stay positive and leave the drama at home. Clutch posted 3 Things We Wish Men Would Leave Off Their Online Dating Profiles and our friends at Match featured a timely article in Happen magazine, Dating a Mom on Mother’s Day with a reminder not to overwhelm her if you’re in a new relationship. It’s not Valentine’s Day. 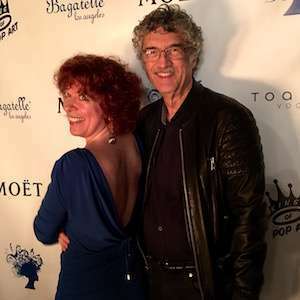 Many thanks to Marie Pijanowski, for featuring me as her guest this week on The Power Connection Show to talk about dating in a web 2.0 world. We talked about the latest trends in online dating and I shared two of my favorite heartwarming stories from the Cyber Love Story of the Week. The first couple, Betty and Bob met on eHarmony and were married at the age of 70. There’s hope for everyone of all ages. 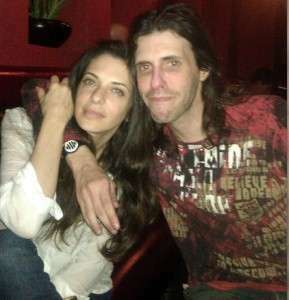 The other couple, Evita and Billy who started their cyber romance on SKYPE. After he disclosed his physical disabilities, she still decided he was the one for her. They’ve been happily married for four years. For those who have taken a break, it’s raining men. Yes, now that the holidays are over and spring fever is here, men are reappearing and are ready to find love online. Listen to hear more about the dos and don’ts for your online dating profile, so you can make your Internet dating experience an enjoyable one. Wishing you much love in cyberspace, or wherever you may roam. ?After being burned big time by my last relationship in 2007, I had officially given up dating,? said Valerie. She added, ?My friends had been imploring me for years to try online dating, but I just couldn’t get past the stigma of it and was extremely concerned about the safety factor.? Valerie thought the idea of a ton of strangers perusing her pictures and personal details would freak her out.? Finally she joined OkCupid, and as an attractive female was immediately inundated by e-mails.? She wasn?t interested in any of them until she received her first e-mail from Adam. Adam had been home on a Saturday evening looking at some of the newest profiles on OkCupid, a weekly ritual for him. He believed in emailing a woman right away before she became swamped with emails and possibly gave up on online dating. ?Then I spotted this beautiful brunette with the handle ?fleursetbonbons?. Ah, flowers and candy? so traditional for a woman, isn?t it?? thought Adam. Then when he read Valerie?s profile, he knew she was the type of person he was looking for. ?Her profile said a lot about her personality and style and wasn’t just another, I love sushi and long walks on the beach type of diatribe,? Adam added. He didn?t expect Valerie to write back. Valerie loved the fact that Adam was the first guy she?d seen on the site with the long haired, rock & roll, chiseled features look that she really went for. When she clicked on his pictures, she saw he also had an incredible smile, and was 6?4? tall, which she loved. ?I honestly wasn’t too impressed by his profile…he seemed a little too interested in beer and sports for my taste…but I decided to take a chance anyway based on the cuteness of his pics,? said Valerie. Valerie liked Adam because he was all about being real and there were no games involved. Adam recalled, ?I decided to email her and tell her as much, figuring all along I?ll never hear back.?? To his surprise she did respond and they started communicating a lot. On their first date, they went to brunch and he brought her a dozen roses. Adam and Valerie shared that they have a magnetic attraction to each other that grows every single day. ?He’s caring, attentive, and kind to me. I miss him when we’re apart no matter how long we’ve spent together, and I love being in love with him, said Valerie? ?I would never have expected to meet someone that I could fall in love with online, so I encourage anyone who’s hesitant to take the chance…you really just can’t know unless you try,? Valerie added. Even though the two currently live approximately 30 miles apart, they regularly see each other about 3-4 days per week and are already considering moving in together. Congratulations to Valerie and Adam, our Cyber Love Story of the Week who wouldn?t let distance get in the way of love. After looking at the MySpace pages of friends of friends of friends, Nathan somehow stumbled upon Sarah?s page. He found her profile banter funny and witty and sent her a message inviting her out for dinner. After viewing Nathan?s (ahem) ?colorful? page, Sarah decided that it would be entertaining to spend an evening with an odd character. They went to a perfectly normal dinner and chatted about perfectly boring things. Sarah was surprised that Nathan?s online demeanor did not translate into a host of quirky personality traits. At the end of the meal, Sarah said that she?d like a piece of gum. She didn?t have any, though, and there wasn?t a convenience store around. Nathan, thinking quickly on his feet, popped into a retro toy store and proceeded to buy every pack of gum they had. The duo spent the remainder of the evening sitting outside, chewing piece after piece of odd-tasting gums of a different era. Sarah was won over. Four years later?and still very much in love?the couple consider themselves not only domestic partners, but life partners, as well. It seems that the relationship has had even more sticking power than the gum. Congratulations to Sarah and Nathan, who prove that sometimes love will find you, even when you aren’t looking for it. Jessica was so busy with work and overwhelmed by all of the emails on Match.com? that she almost never met Michael. She had corresponded with a few men, and finally made the time to meet Michael at a restaurant in Oakland, CA. When Jessica arrived at the restaurant, the hostess informed her that they were about to close. Going with the flow, she decided to wait for him outside on the sidewalk, when suddenly came up to her. She wondered, “Is this Michael?” She started talking to the gentleman and suddenly realized it was another man who had written to her on Match,? who she had taken a pass on. She didn’t want to be rude as the man was rambling on and on about James Joyce, when finally Michael, her blind date, arrived. She managed to introduce “Dave” the other Match suitor to Michael, and as awkward as that might have seemed,? Michael and Jessica had the first date of many for the rest of their lives. The two were married in September, five years after their first date.? Hopefully Dave found love online as well. Congratulations to Jessica and Michael, our Cyber Love Story of the Week.